Losing a loved one is always difficult, but this can be greatly exacerbated when someone passes away at a young age. Brennan Mohler was only 12 when his family had to say goodbye, and this is something that no parent expects or can prepare for. Unfortunately, the emotional toll of Brennan’s passing was compounded by unexpected funeral expenses. Additionally, those who knew Brennan wanted to do something to honor his life and keep his spirit alive. Therefore, they decided to start a memorial fund in his name, and they turned to DonationTo as a platform for collecting online donations. Our online memorial fundraising platform makes it possible to keep 100 percent of the money that people contribute to your cause. This is very different from websites that bill themselves as completely free. In fact, the average cost of a free fundraiser is 5 percent per donation. To put this into perspective, our paid accounts start at a mere $9 per month. In this particular case, the campaign would have already lost almost $650 in fees if the host had selected a so-called free crowdfunding service. Instead, they chose DonationTo account paid account and keep that $650! Whether you want to raise enough money online to pay for a funeral or prefer to create a memorial account in your loved one’s name, crowdfunding is a viable option for enabling people to easily make donations. In Brennan’s case, his local Boy Scout Troop chose to ask supporters to make contributions that could help honor the young boy’s memory. Brennan was a member of Boy Scout Troop 380, and he was working his way toward becoming an Eagle Scout. One of his favorite activates was playing Minecraft, and his fellow players indicated that he was very helpful and aspired to become a moderator for the online game. A true Boy Scout on and offline, Brennan has been characterized by his friends as being courteous, cheerful, brave and kind. 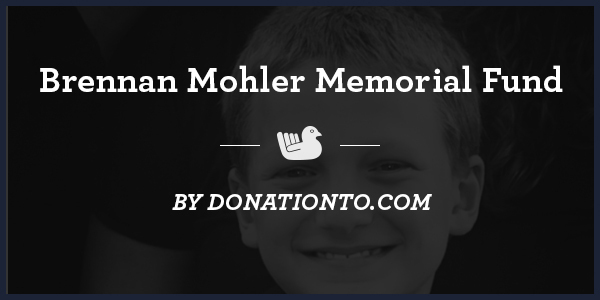 With all of these positive qualities, it is no wonder that Boy Scout Troop 380 made the decision to help keep his spirit alive by founding the Brennan Mohler Memorial Fund. The troop’s stated goal is to ensure that his “impact on friends, family and society shall continue for generations to come.” Although the exact intended usage of the memorial fund is not listed on the crowdfunding page, it is easy to understand that the troop is likely to put the funding to good use within their local community. To date, more than $13,000 has been raised toward the troop’s $30,000 goal. 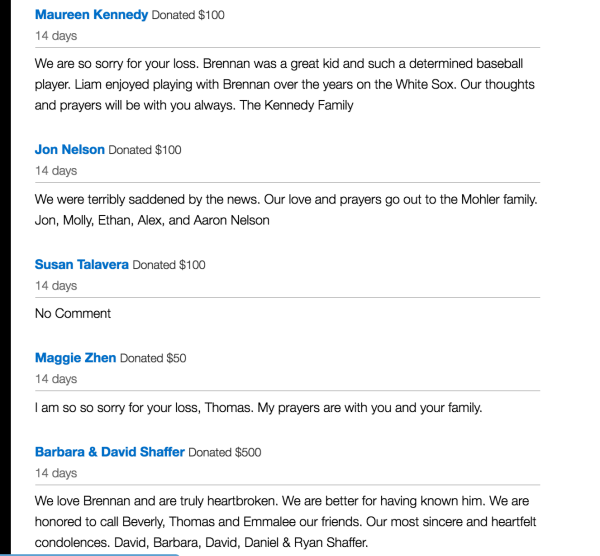 One of the biggest factors in establishing a fully funded memorial fund is getting the word out, and it is clear that information about the crowdfunding campaign has been shared with Brennan’s online Minecraft community. Additionally, the troop member who created the fundraiser put a photo of Brennan on the page, and this helps potential donors feel more connected to the project. Although little was shared of Brennan’s story, it is clear the he made a positive impact on those who knew him. Creating this type of word picture is another proven way to increase support for a memorial fundraiser. Because of this, DonationTo makes it possible to share as many words and photos as you would like on your page. We also encourage members to create a video that tells the story of their campaign. When a loved one passes away, it can be very difficult to deal with the combination of grief and the financial aspects of their loss. With this in mind, the DonationTo team made it a priority to offer people an online platform where they could receive emotional and financial support during a rough time. Each donor is given the opportunity to post a few kind words with their contribution. Memorial fundraising makes it possible to connect with online donors from around the world. Boy Scout Troop 380 chose this avenue to raise money for a memorial fund in Brennan’s name, and they are already almost halfway to their goal! Our platform enables users to keep 100 percent of the money that is contributed toward their cause. Instead of losing 5 percent in fees from each donation, this fundraiser will only end up covering a meager monthly fee that starts at a mere $9. This can make a drastic different and has already saved this particular campaign almost $650. Every penny counts, so it is imperative not to waste them on unnecessary fees. Additionally, the host of the memorial fundraiser can reach out to us as needed for phone support, and they have the option to upload unlimited images to their page. Donors are given the choice between PayPal and WePay, which makes it possible to donate 24/7 from any web enabled device. As you can see, DonationTo is a fundraising platform that makes everything as easy as possible and is committed to minimizing fees.